Home &sol; Technology &sol; Tech Tips &sol; How to Earn Money Online from Instagram? 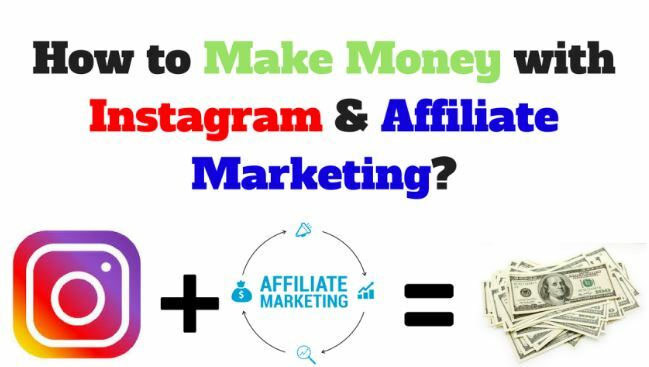 Planning to earn money online from Instagram? Here is how you can do it. Social media has already the world by storm. Different Social media platforms are used by people worldwide throughout the day. Probably you have some of these applications as well installed in your device. Some of the most popular social media platforms include Facebook, Instagram, YouTube, and Twitter. From reading news stories to sharing pictures, videos or communicating with other users, the possibilities are unlimited on social media these days. The social media websites have made it a piece of a cakewalk to connect people with one another not just within a country but also outside it. However, you will be amazed to know that these sites are not only meant for entertainment but you can do a lot of things well like earn a lot of money. You will wonder how can you earn from a social media platform where people come for entertainment basis, right? Well in this article we will discuss with you how you are going to earn money online from Instagram. Instagram has been one of the most popular social media platforms and over the years it has become much more than just social media. It is now a business platform. 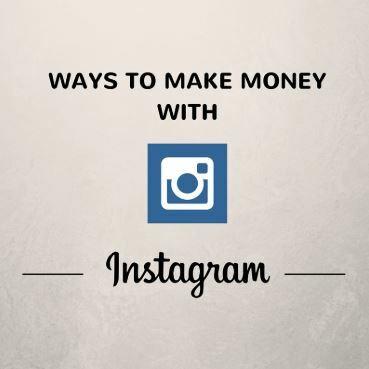 You can make a lot of money on Instagram but it will not be so easy. First, you will need to know some of the basics of Instagram which will help you immensely to understand the process of making money. Different methods like sponsored content, affiliate or even direct promotion of your business, all of these are possible on Instagram. So always remember that you can sell services or products on Instagram just like any other potential business platform. Now we will be discussing in details the steps by which you can earn money. Whether you are new to Instagram or have been on it for some time, make a point of following one of these steps to generate income from your account. This is probably one of the most popular ways by which you can earn money on Instagram. By the term ‘influencer’ it simply means that you will be someone who is followed by a lot of people who respect your work which you portray online on a platform, in this case, it is Instagram. When you are an influencer on Instagram, you will have a lot of real-life followers. Brands will come up to you for promoting their products and services because of your follower base. With the help of your engagement and trust with your followers, the brands will promote themselves to these people and spread awareness. An affiliate is completely different from an influencer. An affiliate is more likely to invest their time to make sales for the brand he has partnered with. This can be done with the help of different affiliate links or promotional codes which will be translated to sales once clicked on them. So if you choose to become an affiliate, you will be able to attach promo codes or affiliate links to your posts which your viewers will be able to see and visit if they want to buy them. You will pay commission whenever anyone makes a purchase from your affiliate link. Therefore, if you have a good and active follower count then you can make a significant amount of money via affiliate links. The more your followers make a purchase, the better the chances are of earning more money. Opening an online store is probably a bit difficult when compared to the above two mentioned methods. However, if you can manage and take care of your online store in the right way by following efficient strategies then you will make a significant amount of revenue from it. Many creators have their online store where they put up their own products and services which their audience or other people can make a purchase. So you will be directly doing business with the people. There are no middlemen in this process. Just like you open a shop outside and people come in to purchase, your online store will be the same. However, if you are planning to establish your own online store, then you will need a proper service or product to offer to the people who will be genuinely interested to buy it. Promote your brand to the people with the help of different posts, marketing strategies, paying influencers etc. You will need to invest time, money and effort in this process. But if you can carry out all the essential steps carefully, you can generate a huge amount of revenue. There are many online Instagram stores which earns a six-digit revenue per month. So these were the three major ways with which you will be able to earn via Instagram from today. Many people have used these methods and they have successfully earned significant money. Therefore, if you want to do the same, start from today because it will take some time and every single day counts. Making money on Instagram is absolutely possible and very lucrative because of the huge potential it has. However, you must understand that before you start making money on Instagram you will need to invest a lot of time and effort behind your Instagram profile. Whether you become an influencer or affiliate partner, you will need to win over a lot of followers who will be interested in your everyday activities and actions. You will need to build an active engagement between these people so that they can start trusting you positively. So make sure that you read over article carefully and understand what it takes to earn money online through Instagram.